Looks like Interesting times ahead for Grass Roots Rallying. Frontal head restraints (FHR) will become compulsory for competitors in multi club level and club level rally events from 2019 and 2020 respectively. The changes follow the findings of the recent review into safety in rallying undertaken by the Australian Institute of Motor Sport Safety (AIMSS). Frontal head restraints are designed to reduce injury by limiting forward head movement during periods of rapid deceleration. Common examples of these restraints include the HANS device and the Simpson ‘Hybrid’ harness style device. The changes will come into effect for multi club level events from 1 January 2019 and club level events from 1 January 2020. CAMS CEO Eugene Arocca said the changes were about improving safety for competitors at every level. “The benefits of frontal head restraints have been proven in research undertaken throughout the world,” Arocca said. “We have seen in Australia that these devices have unquestionably saved lives and reduced the seriousness of any injuries. Frontal head restraints have been compulsory in National and State level rally events since 2015. CAMS has put together a FAQ on the introduction of frontal head restraints in lower level rally events, which is available to view here. 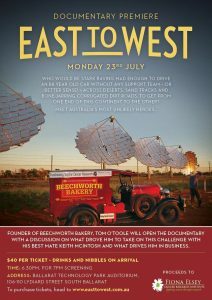 Booking and paying early will ensure your place at the lunch! Book for 1, 2 or more. Tables seat 10 people. A booking and payment options form is attached for you to return via email, mail or SMS. 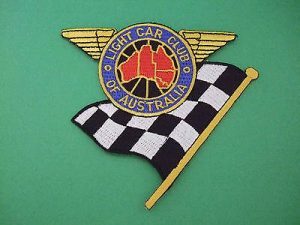 We have a Facebook Group titled “Light Car Club reunion lunch” Please join in and post any memories and photo’s you would like to share. 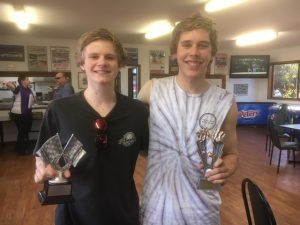 On Sunday the 18th, round 2 of The BLCC Autocross series was run and won. It was also round 1 of the CDC. With a field of 26 cars, which completed 4 laps and the use of the water truck once. For the outrights, 1st was Um oh you all know Ben McKee, 2nd Outright was Damian Faulkner, 3rd I dunno if will ever slow this old bloke down Keith McElroy. 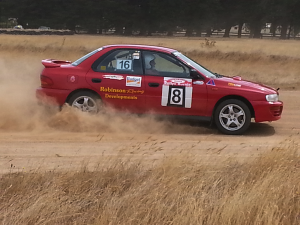 1st RWD and 4Th outright was Richard Gay in the Gemini. 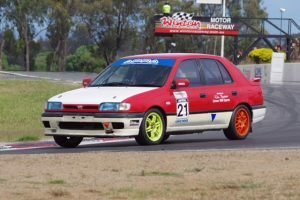 Class A (Shopping Trolley Class) which is now the biggest class in our series’ was won by Sam Rozitis in the Mitsubishi Mirage by a narrow margin to Paul Gladman, once a wheel swap and tightening of nuts. 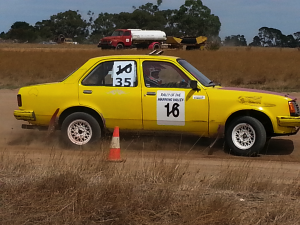 3rd in class was Reg Johnson in the Nova. 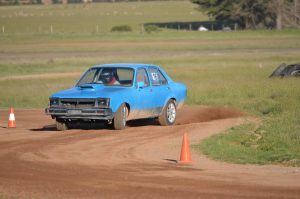 Class B Holden vs. Ford, seen Marty Cassar in Sam’s TX3 take the win over the grunty very sideways SS Holden Ute. 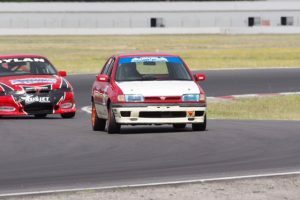 Class C, the Nissan Pulsar of Paul Deakin was able to hold out the red rocket of Andrew Bayley. Class D the battle of the Skylines. Seen Paul Shaw knock off the family wagon of Zac Pendleton. 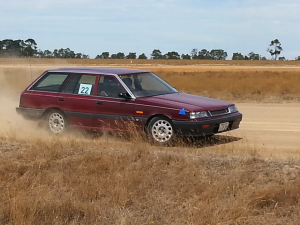 Class F (4wd Standard) Seen the battle of Um Damian Faulkner in his TX3 Laser. Class F (4wd Mod) the battle of the titans with Ben McKee taking the win over Keith McElroy. Class H, Historic Plated vehicles, maybe this could be renamed just the Historic’s as these two guys have been around for a while. Borrowing Josh’s Gemini Richard Gay was able to hold out Chris Hall in the Zed. Class I seen Rocket Rod Hall in the Laser take the win ahead of Tim Kelynack followed by Dylan Simonis and Henk Dekker. J2 was won by Sam Cassar in the TX3 Laser ahead of Damien Pendleton steering his Nissan Gazelle. J3 showing a clean pair of heals and won by Josh Gay in the Gemini. 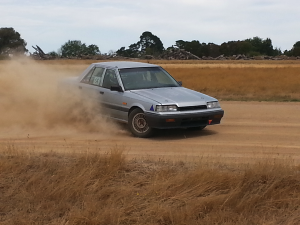 2nd in class was Nathan Rozitis. I would like to thank the officials that made the event a huge success and done and dusted by 2:30pm. Wayne Holness (infield and water truck steerer) Rod Hall (time keeping) Michele Bayley (book in and infield) Chris Hall (scrutineering) Roy Parkinson (Steward) Melissa McKee and Bernie Gladman (Catering) Darren Wythe, Ben McKee, Jake and Drew Gladman (Timing) Reg Johnson (Start line). The competitors for filling in the gaps on the infield. A great event had by all and appreciated the early finish with the month of February being so packed with heaps on and around the club. 2018 The Courier Eureka Rally Officials Thank You. A week has now passed since a hectic last weekend. Thank you for your valuable contribution to what we can now say has been another successful ARC Eureka Rally. Competitors seemed to be only very positive in their feedback about the selected course and the event organisation. Unfortunately we had to send in the Medical Intervention Vehicles on both days. The crew of Car 14, Ben Kittle and Caroline Vale from Alice Springs were both discharged from hospital on Sunday with no serious injuries, just bruising. The co-driver of car 10, Mike Dale was discharged on Sunday with no serious injuries, just bruising. The driver Gary Brown, after being flown to Melbourne, was discharged on Monday with fractured ribs. We did have a breach of stage security on Saturday, when a member of the public camped inside the course, disobeyed directions to either leave immediately or stay put for the day, and thought they could sneak away after a while. Fortunately they did not collide with a rally car. There will be no option next time. Apologies for the dust out there, but the mild March Ballarat weather was kind to us and did the make the weekend overall more enjoyable for all. We look forward to your continued assistance as we begin planning for another Eureka Rally in 2019. WE NEED YOU! Events can’t run without the enormous efforts of volunteer officials! 2018 Eureka Rally Officials Registration is now open, register today to be part of this great event.